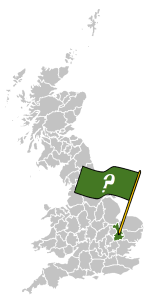 A competition to design a county flag for Cambridgeshire is currently underway. The closing date for entries is Sunday 8th June 2014. The eventual flag will be adopted in September 2014, in time for Historic County Flags Day in 2015. Please see Andy Strangeway’s blog for full details on how to enter.